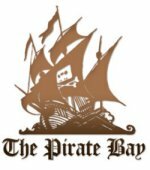 In what seems like an early April Fools' Day Joke, The Pirate Bay announced today that it plans to put proxy server onboard of drones that fly a few kilometers above the earth. The torrent search website claims putting servers in the sky will minimize the risk of being shut down, and envisions a fleet of small, unmanned GPS-guided aircraft that carry far-reaching cheap radio equipment and tiny new computers like the Raspberry Pi. "One of the technical things we always optimise is where to put our front machines. They are the ones that redirect your traffic to a secret location. We have now decided to try to build something extraordinary," The Pirate Bay (TPB) wrote. The plan, which elicited a mix of scepticism and excitement in the comments below it, would involve the creation of a proxy system made of 'Low Orbit Server Stations' that would reside a few kilometres above the earth. "With modern radio transmitters we can get over 100Mbps per node up to 50km away. For the proxy system we're building, that's more than enough," TPB claimed, adding that it ultimately intends to "host in all parts of the galaxy". "All of the parts we'll use to build that system on will be downloadable," the organisation noted in a possible reference to its recently-launched repository for 3D printing schematics. Full details at ZD Net.